On the Danforth is a new pre-construction project located at Danforth and Woodbine. Suites range from 436 to just over 1000 square feet. TTC is at your doorstep, parks, school and shops are all walking distance and just steps to Woodbine Beach and Ashbriges Bay. Situated at 2359 Danforth Avenue, Toronto, Ontario M4C 1K7, just east of Woodbine, the 136-unit condominium is close to everything. 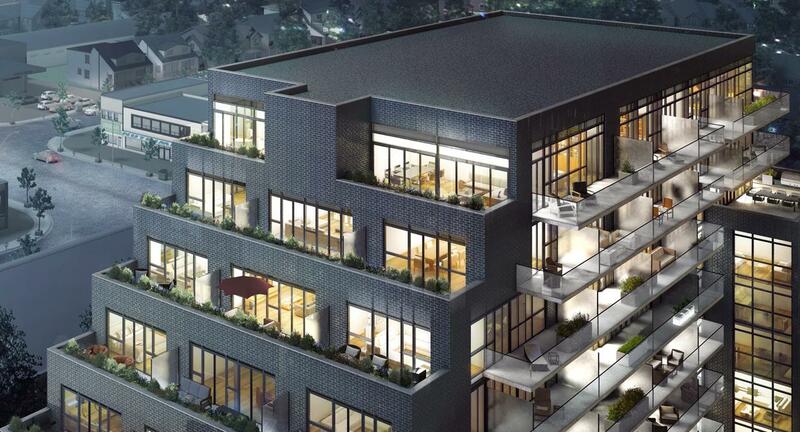 On the Danforth condos boasts a Walk Score of 96 out of 100 and is steps from countless local amenities including parks and green spaces, restaurants, cafes, shops and services. Residents can walk to Stephenson Park, G. Grizzle Park and the East Toronto Athletic Field, or head a little farther south to the shores of Kew Beach, Woodbine Beach and Ashbridge’s Bay Park. They’ll also have access to hundreds of shops and services on Danforth Avenue, from retail stores and law offices, to dental and medical clinics. The building itself will feature ground floor retail space. Designed by onespace architecture + interior design, the 10-storey mid-rise will feature contemporary architecture mixed with traditional character that blends in well with the neighbourhood. ighlights include motion-inspired design elements like the L- and U-shapes in the brick that will make the building appear to be in motion as the eye travels along its facade. The structure’s asymmetrical design also contributes to the sense of motion while providing a nod to its location along the Danforth subway line. Condos at On The Danforth are priced from the $200,000s and will be well-appointed with top-notch features and finishes including nine foot ceilings and appliance packages.